"Tamh” provides 4-star self-catering accommodation in a modern 3 bedroom house in the picturesque bays of Harris. Located on Harris, 30 miles off the north-west coast of Scotland, this property allow visitors the chance to view some of the most wonderful scenery in the British Isles and provide a total escape from the norms of everyday life. "Tamh" is the ideal base to explore Harris, situated on the Harris Walkway 2, close to spectacular beaches and 3 miles from the amenities of Tarbert. 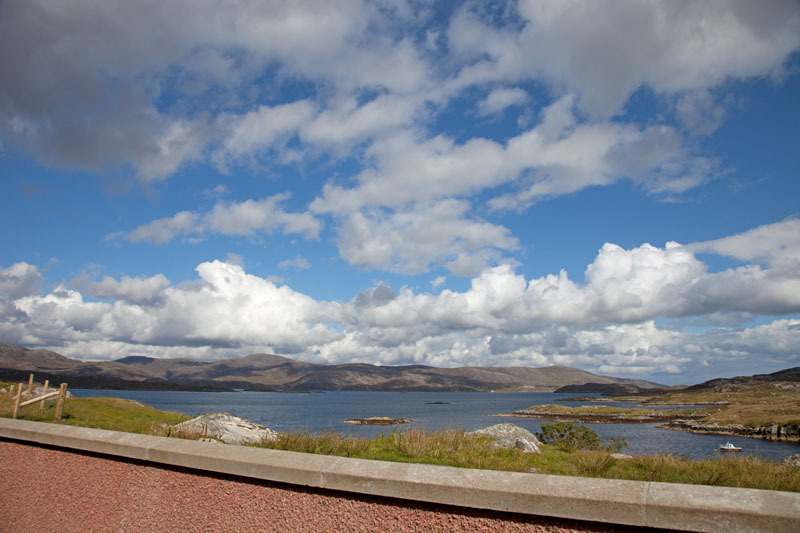 The accommodation enjoys beautiful views across East Loch Tarbert to the islands of Scotasay and Scalpay and beyond. The panoramic view extends out across The Minch with the Isle of Skye and the Scottish mainland visible in the distance. As the name of the house implies, "Tamh" (Gaelic for rest) will give you the opportunity to experience tranquillity along with a deep sense of natural beauty whatever the prevailing weather. Visitors have enjoyed the sight of the golden eagle that nests nearby and the otters playing on the shoreline below the house in the evenings. Enjoy the superb accommodation and location as we look forward to welcoming you to one of the most exquisite holiday destinations in the world.